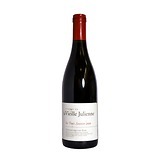 There are only 6,000 bottles of the 2010 Chateauneuf du Pape Les Hauts Lieux, which comes from pure limestone soils. It boasts an impressive purple color in addition to lots of mineral-laced, crushed rock, blueberry, boysenberry and raspberry notes. The stunning purity, full-bodied mouthfeel and voluptuous, long finish make for a potentially legendary Chateauneuf du Pape.